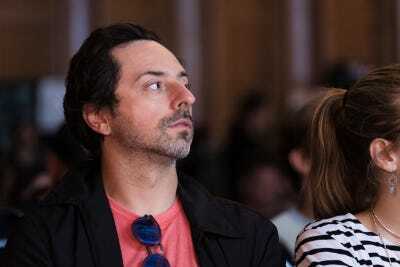 Dan TaylorGoogle cofounder Sergey Brin in Berlin last week. 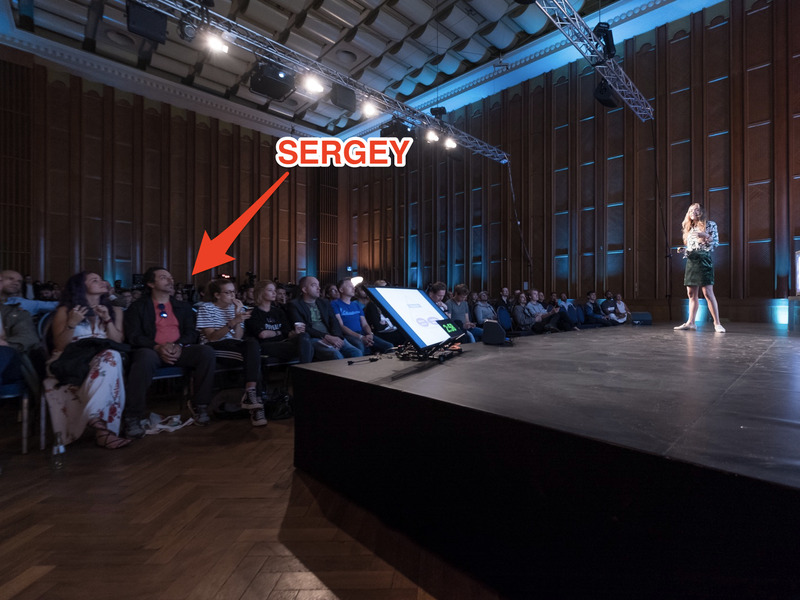 Google cofounder Sergey Brin secretly attended a technology conference in Berlin last week. The search engine billionaire visited the Tech Open Air conference — held at FunkHaus Berlin, once the broadcast headquarters for the German Democratic Republic (GDR) state radio — last Thursday and listened to talks given by some of his US friends, according to a source with knowledge of his visit. Brin also spoke on one of the conference’s smaller stages, taking part in an AMA (Ask Me Anything) session. In addition, he attended a number of exclusive events for VIPs, the source said. VIP events on offer included a private tour of the Boros Collection of contemporary art, located in a converted 3,000 square metre bunker, and a party co-hosted by SoundCloud cofounder Eric Wahlforss and his wife. Day TaylorBrin at the Tech Open Air conference. The timing of Brin’s Berlin visit is interesting given everything that’s going on SoundCloud. Music Business Worldwide reported in January that Google was mulling an acquisition of SoundCloud that was likely to be in the order of $US500 million (£386 million). It’s unclear if Brin attended the SoundCloud party, which took place in some woods on the outskirts of Berlin on Thursday. However, he wasn’t seen at the conference on Wednesday to listen to SoundCloud CEO Alex Ljung explain the rationale for the latest job cuts at SoundCloud. It’s possible he met Ljung separately though, as he was in Berlin for three days in total, according to a source.